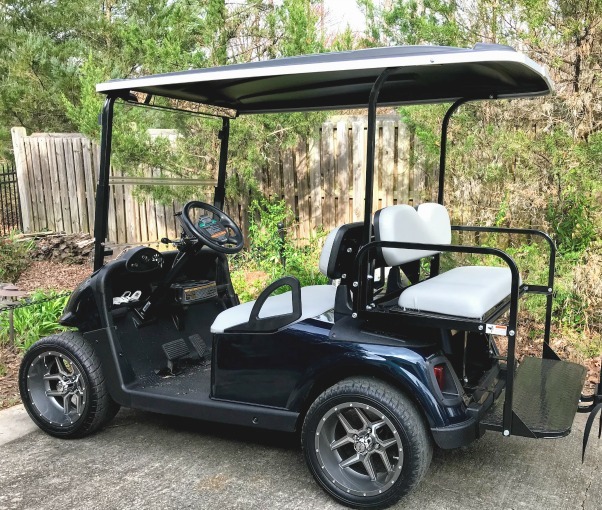 The EZ Go Golf Cart is a very familiar brand of golf carts in Peachtree City - on and off the golf course. Our local golf course just switched their fleet of golf carts from Yamaha to EZ Go. It is a top performer and favorite make for many golf cart owners. Available as gas or electric carts, they can be used for golf, personal use or hunting. E-Z-GO was founded in 1954 in a one-room machine shop in Grovetown, Georgia. They became part of Textron in 1961. 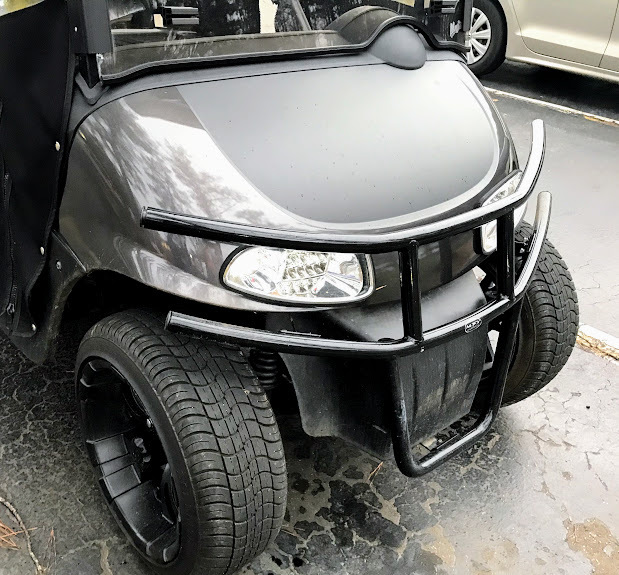 This golf cart make is a durable and high-performance vehicle. 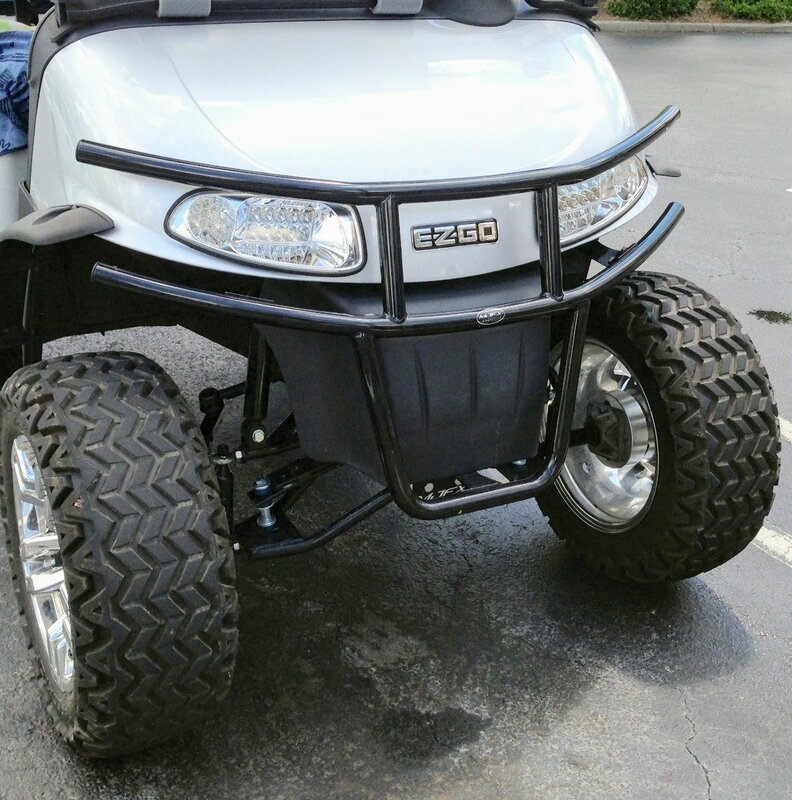 EZ Go is one of the top three manufacturers which means it is easy to find and to get parts as well as cart accessories. Enjoy taking friends or family on a golf cart ride with a 4 seat golf cart. It can be added on to a standard 2 passenger cart. They are fully customizable and offer many options and accessories. To purchase an EZGo Golf Cart Part, you can go online and find just what you need. Many of the on-line stores offer 800 numbers where you can find a helpful and knowledgeable sales associate. Some sites offer free shipping. You will need to know the make, model and year your golf cart was made. My favorite golf cart parts on-line store is Buggies Unlimited. 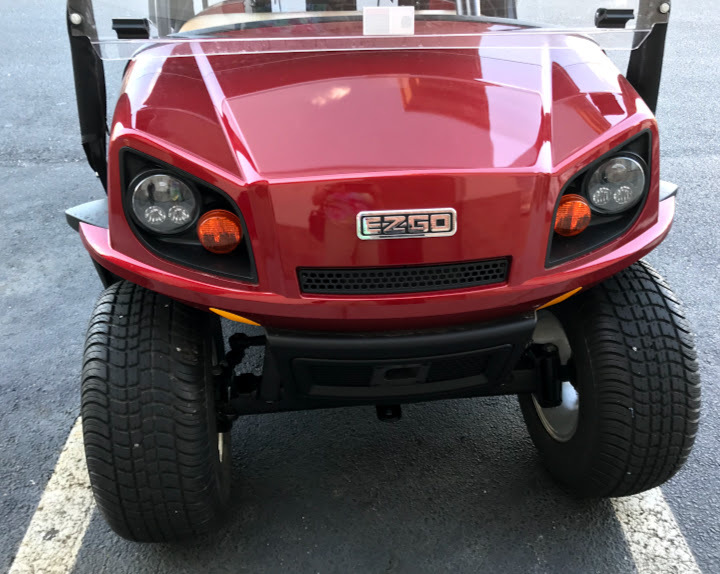 Are you considering an EZGO golf cart accessory such as wheel covers, storage bags or baskets, wheels, windshields, or a cooling fan? There are lots of golf cart accessories that can be added after-market - which simply means after you've bought it. One of the most common accessories to make your golf cart usable in cold or wet weather is a golf cart enclosure. 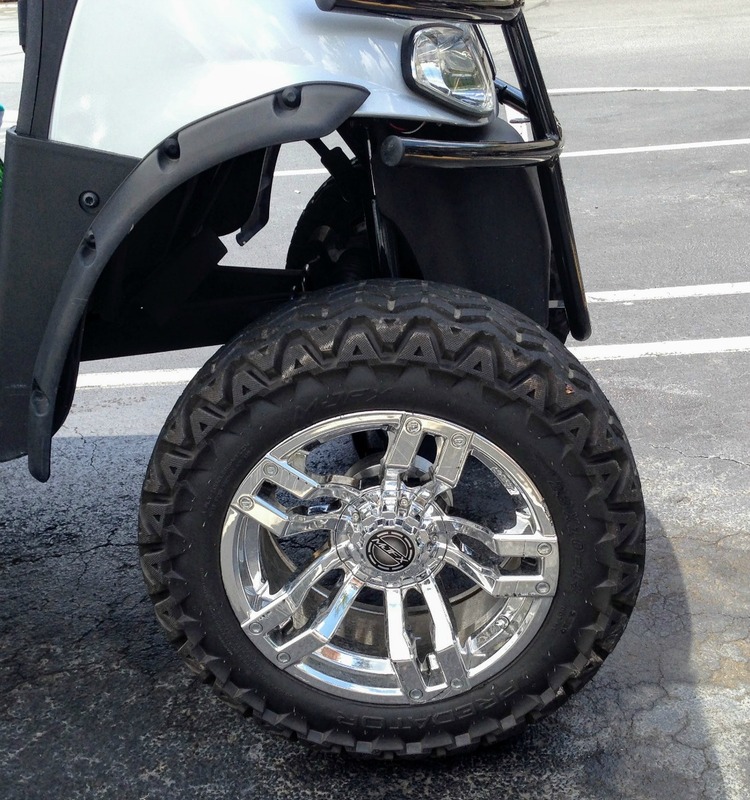 Customize your cart with custom wheels, knobby tires, fender flares or golf cart brush guards.